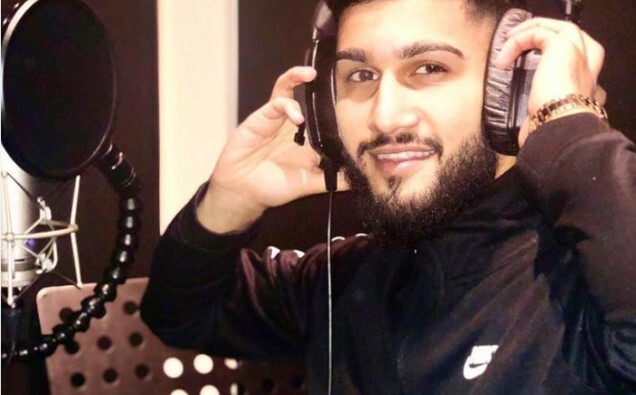 Ahmad Rubani is a talented young singer and artist from Birmingham. Through love and devotion towards his religion and the Islamic traditions, he composes music to inspire love for the Prophet Muhammad (PBUH). By performing his unique naats, he encourages many others to re-connect themselves with the essence of Iman. What inspired you to become a Naat khawan? I have watched a few nasheed artists, such as Maher Zain and Sami Yousaf. When I was younger I looked up to Sami Yousaf and I wanted to become like him one day. How long does it take you to practice before performing at an event? I always practice. I will go through what I need to read and when I am confident about something I will just do it. How did you feel, when you went in front of the public performing for the first time? It was really a good feeling! How long does it take you to release a single? It can take 3 to 4 months depending on the producer. What impact do you make on the youth and how do you inspire them to do good? I have a lot of the youngsters come up to me saying you’re my role model and we want to be like you. And my message to them is that you don’t have to be religious to praise the beloved. Have you ever thought of teaching the children to recite? I would love to, but I don’t have the time to do it as you have to be committed to it. But one day, I would love to, why not? Do you have anything planned for your next single? Yes, I have a single upcoming, which would be released by end of June or beginning of July. I have been bought up in a Naat Khawaani road. But as a person with passion I love music, I like tuning. If something sounds good I will be addicted to it. Probably I would start Qawwali one of the days and do something mixed. But whatever I am doing right now I am happy.